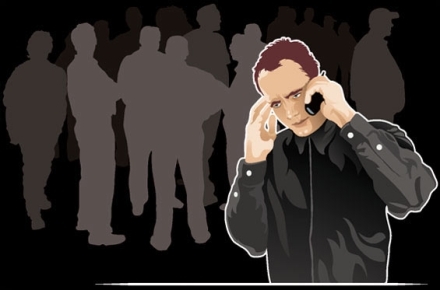 Southwest Florida Crime Stoppers and the New York Times are heartily celebrating the fact that an increasing number of Americans are becoming informants and turning in their neighbors and family members to the authorities in return for cash rewards. Citing gas prices, foreclosure rates and runaway food price inflation, The Times lauds the fact that citizens are reporting on each other, ensuring "a substantial increase in Crime Stopper-related arrests and recovered property, as callers turn in neighbors, grandchildren or former boyfriends in exchange for a little cash." The fact that people turning in their own neighbors and family members for payoffs is one of the hallmarks of a Stasi-like police state doesn't seem to register with reporters Shaila Dewan, Brenda Goodman, or Crime Stoppers U.S.A President Elaine Cloyd, who hails the snitches for getting "creative" to offset a rough economy. Forget Orwell's 1984, this purebred tyranny is about as sophisticated as the wacky dictatorship portrayed in Arnold Schwarzenegger's 1987 movie The Running Man, where citizens are reminded by huge TV screens that they can "earn a double bonus for reporting on a family member!" 10 minutes into the clip from 1987's The Running Man: "Don't forget - October is bonus recruitment month - earn a double bonus for reporting on a family member!" It's difficult to judge the most disturbing aspect of this story - the fact that people would slavishly turn in their grandchildren and neighbors for instant cash - or the horrible spectacle of having to endure the the New York Times celebrating it. "For tips that bring results, programs in most places pay $50 to $1,000, with some jurisdictions giving bonuses for help solving the most serious crimes, or an extra “gun bounty” if a weapon is recovered. In Sussex County, the average payment for a tip that results in an arrest is $400," according to the report. A poster from the First Coast Crime Stoppers program. “Crime doesn’t pay but we do,” say the mobile billboards cruising Jacksonville, Fla. A poster in Jackson, Tenn., draws a neat equation: “Ring Ring + Bling Bling = Cha-Ching.” The bling, in this case, is a pair of handcuffs." Enthusiastic spies are assured that they can earn as much as $700, $750 per week for information leading to two or three arrests, more money than a minimum wage job. The tattle-tales' identity is kept anonymous and they can even report people by text message. Crime Stoppers coordinator Trish Routte described the ability to make a living from reporting friends and family members to the authorities as "wonderful". Lest we forget that from this same wellspring of tyranny emerged Operation TIPS, which was supposedly nixed by Congress, a DOJ, FBI, DHS and FEMA coordinated program that would have recruited one in twenty-four Americans as domestic informants, a higher percentage than was used by the Stasi in East Germany. More recently, ABC News reported that "The FBI is taking cues from the CIA to recruit thousands of covert informants in the United States as part of a sprawling effort.....to aid with criminal investigations." Since authorities now define mundane activities like buying baby formula, beer, wearing Levi jeans, carrying identifying documents like a drivers license and traveling with women or children or mentioning the U.S. constitution as the behavior of potential terrorists, the bounty for the American Stasi to turn in political dissidents is sure to be too tempting to resist. As any budding dictator will tell you, the creation of an informant society where individuals self-regulate their behavior in fear of being turned in by a citizen spy is one of the key stepping stones to tyranny. To have the media celebrate the fact that people are reporting on their neighbors and grandchildren puts the icing on the cake. See: My article on InfraGard is on your left. Too bad they don't have the courtesy or morality to pay me for the articles of mine that they post - and stealing my material. If you guys "drop by" - how 'bout paying me for running my InfraGard article where it MIGHT DO SOME GOOD ! !